4-panel digisleeve with sticker on cover (shrink wrap) & 16-page lyrics booklet. ℗© 2017 THE NULL CORPORATION. 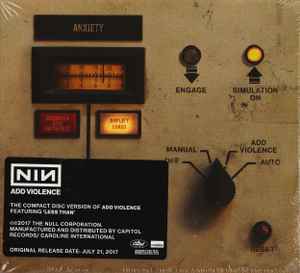 ORIGINAL RELEASE DATE: JULY 21, 2017 00602557897975"
This original release date refers to the digital version of Add Violence.